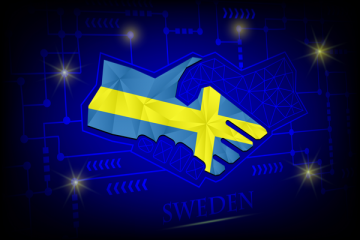 Sweden-headquartered language service provider (LSP) Semantix continues to bolt on smaller local rivals that come with a couple of non-Nordic offices. With its most recent acquisition of boutique Swedish LSP Teknotrans, Semantix gains a presence in Croatia and further builds out its domestic translation business. The terms of the Teknotrans deal, which has already been signed and will close on April 1, 2019, have not been disclosed. Teknotrans was founded in 1971 and was owned by CEO Christian Hammer. The company has a focus on the automotive and industrial verticals and generated SEK 29m (USD 3.27m) in 2018, up 10% from the previous year. According to regulatory filings, profit was around USD 350,000 in 2017 up from USD 290,000 in 2016. Teknotrans has expanded from its native Sweden to also operate offices in Croatia. Semantix CEO Patrik Attemark told Slator they approached Teknotrans to discuss a possible deal directly. Achieving organic growth has become an increasing struggle for much of the language services industry, and is especially difficult for smaller players such as Teknotrans. 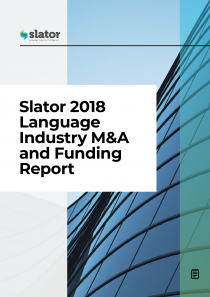 At over USD 110m in 2018 revenues, Semantix is the largest LSP in the Nordics according to the 2019 Slator Language Service Provider Index, and employs around 400 people full time. Backed by its majority owner, private equity fund Segulah V L.P., Semantix has been on an acquisition drive across the Nordics in recent years, buying up TextMinded in 2017, Amesto Translations in early 2018, and Tolkvox in 2019. Indeed, much of Semantix’s 13.0% growth in 2018 is linked to Amesto revenues, which contributed around USD 18m to the top line. Although Semantix’s business is heavily centered in the Nordics, the company now has a footprint in other parts of Europe, as well as Chile and China (through the TextMinded deal). One benefit of the Teknotrans acquisition is, according to Attemark, that it enables the company to strengthen its global presence by “operating as a global partner for our customers.” Nonetheless, “our main strategic focus is to have the Nordics as our base,” he added. 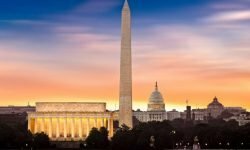 While Semantix traditionally has its roots in public sector interpreting, this is a market that is particularly prone to peaks and troughs in demand, depending on fluxes in immigration trends and policies. Semantix currently uses XTRF as a production tool and Memsource as a TMS, plus “proprietary knowledge asset management technology and other language technology applications,” Attemark told Slator. The company continues to be “focused on employing and developing language technology for both voice and text,” as its recent acquisition of remote interpreting startup Tolkvox highlights. Attemark remains unfazed by the progress of tech behemoths, such as Google and Amazon, who have recently launched their own customizable commercial NMT solutions. Instead, he views them as “valuable tools” in enhancing Semantix’s own language technology toolkit. One area that does appears to be more of a concern for the Nordic LSP, however, is “the scarcity of language experts,” which Attemark identifies as one of the main near-term challenges facing Semantix.